Honor people, pets or special occasions with a lifesaving donation. Making a gift in honor of a person or special occasion is a wonderful way to give something meaningful. Memorial gifts are a special way to remember a friend or family member who has passed. For all of these gifts, you can choose to have us mail or email a personalized card to notify the recipient. To Make Tribute or Memorial donation over the phone, call 773-475-4242. A tribute is a way to honor a person or pet who is living or celebrate an important event or milestone. Memorials are a special way to honor the life of a departed friend or family member who cherished animals. Celebrate birthdays, graduations, bar/bat mitzvahs and other special occasions by making a donation to PAWS Chicago. Tying the knot? Many animal-loving couples opt to give a donation on behalf of their guests in lieu of wedding favors. 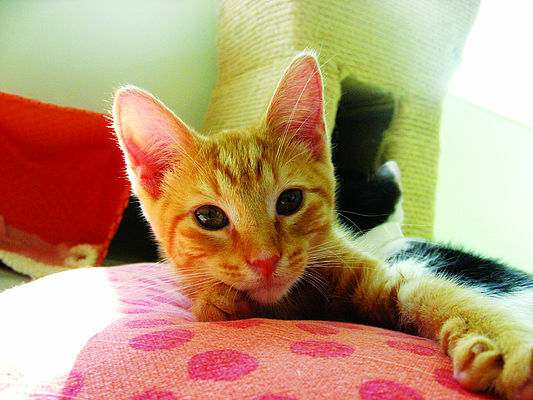 Celebrate or honor a beloved pet or loved one by sponsoring a personalized page in the PAWS Chicago Desktop Calendar. Receive beautiful pet-centric portraits from David Sutton Studios that truly highlight the special bond between you and your furry loved one.